The Wahoo Meadows Estate is spectacular! Offering mature pastures, breathtaking views & peaceful seclusion, you are sure to fall in love. The main house features open floor plan, hardwood floors, large bedrooms & nicely finished basement. Bring the entertaining outdoors to the huge outdoor kitchen/gazebo, glistening pool, putting green and waterfall. Pastures are enclosed by wood/metal fencing. Several RTV trails in the wooded areas. 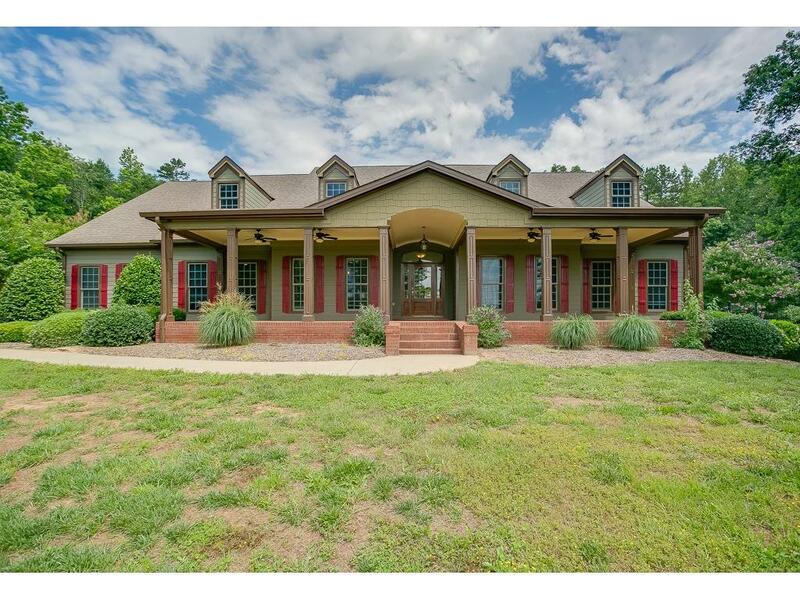 This property adjoins 6303 Ben Parks Rd and shares the 5 acre spring-fed lake, driveway and gated entrance. Directions: From Gainesville, Take Hwy 60 North; Turn Right On Mount Vernon Rd; Turn Left On Ben Parks Rd. Home Is On The Right.